Clean Slate: New Illustration: Life at Sea. New Illustration: Life at Sea. 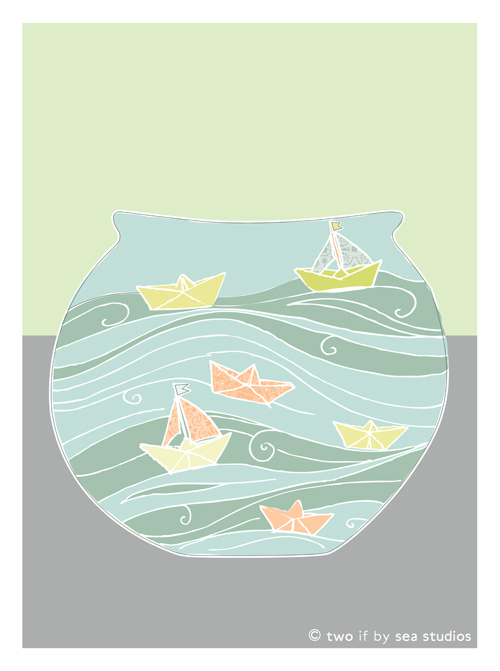 This illustration is not meant to support the title of our studio, but coincidentally the sea, sailing and boats fall in line with happenings in my life. Sending thoughts of strength in uncertain times to my uncle, Captain Maynard.